Yes, we are not joking. It is possible to start an online business without money if you have the right combination of skills and marketing know-how. In this article, we will show you “How to Start Online Business with No Money“. If you are running a short of money and want to start your own business then ‘Online Business‘ will be the best option for you. Here, we think it is important to mention that today lots of people is making money online without or with little investment. If even you want to make money online then read this article completely. This article gives you five different ways to get start your own business without any money. One of the best ways to start an online business without Investment is ‘Personal Blog‘. You can build your own blog website at free of cost. Please refer the below article to know how to start your blogging website free. How to start your First Blogging Website? Today, blogger is making money ranging from $0 to $35000 per month. Yes, there are the bloggers who are making lakhs of rupees out of it. For them, it is a primary source of income. Besides Google Adsense, there are many different ways to monetize your blog. For example, Paid Guest Posting, Selling Direct Advertisements etc. For more such ways, please refer below the article. Freelancing means provide your services to your clients, where most of the clients are temporary. The person providing these services is known as Freelancer. If you possess any particular skill like writing, computer programming, website designing etc. then you can start making money out of it. For Example, You can make hundreds of dollar by doing online data entry jobs or designing a site for a client. Sites like Fiverr, UpWork, freelancer etc. can give you the best platform for such jobs. Once you get a good number of clients, you can start your own website and start freelancing jobs online. It is not necessary to buy a good camera and video editing software to start a profitable YouTube Channel. You can even start a youtube channel without these expensive instruments. Yes, it is possible. Just check out the YouTube Channel of ‘EmbroideryShristi‘, it is making money through sharing software tutorial. All you need is a simple free screen capture to start a youtube channel. Selling affiliate products is another best way to start an online business without any investment. Yes, it is not necessary to sell your own products to start an online business. You can sell the product of your affiliated on your website. For example, You can get registered with the Amazon associates and sell products on behalf of them. On every sell, you will earn a commission from the Amazon. 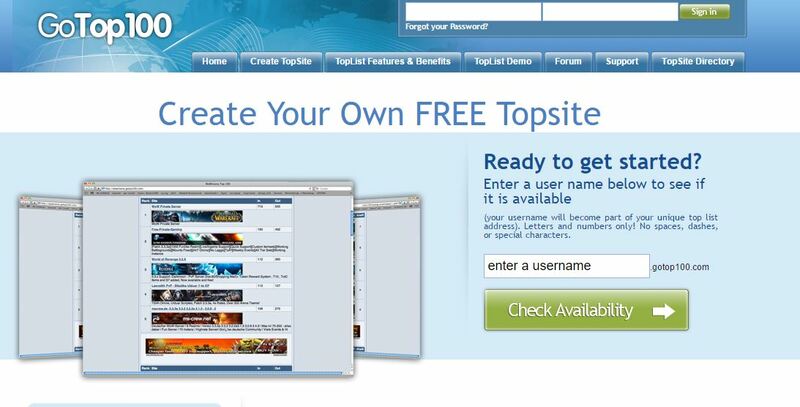 You can use the website builder sites to start a free website for selling affiliate products. Don’t possess any skills to start an online business? No Problem, you can still start an online business. All you need to do is to build a free website. For Example, You can create a free site on gotop100 and start listing the top websites on it. Slowly and gradually you will have a list of a good number of websites. Next, you can start charging money for it. You can create a paid section for the same. Above all are the best ways to start an online business. Besides these, there are also many ways to make money from the Internet like online coaching class, URL Shortener, writing reviews etc. We had not considered those ideas here because for starting an online coaching class you need to be master in a particular subject. Further, now it is very difficult to differentiate between the original and fake website. So, it is better to start your own online business website rather than making money from fake sites. If you face any problem in starting your own online business, feel free to contact us. You can even share your feedback and problems in below comment box.